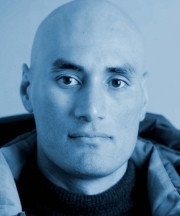 Shane Rangi is a New Zealand actor from Ngati Porou. He featured in Peter Jackson's The Lord of the Rings film trilogy (as "Witch-King of Angmar" and Harad mûmakil) and was also a stunt performer. Whole or part of the information contained in this card come from the Wikipedia article "Shane Rangi", licensed under CC-BY-SA full list of contributors here.